This railway makes a wonderful subject for model railways. 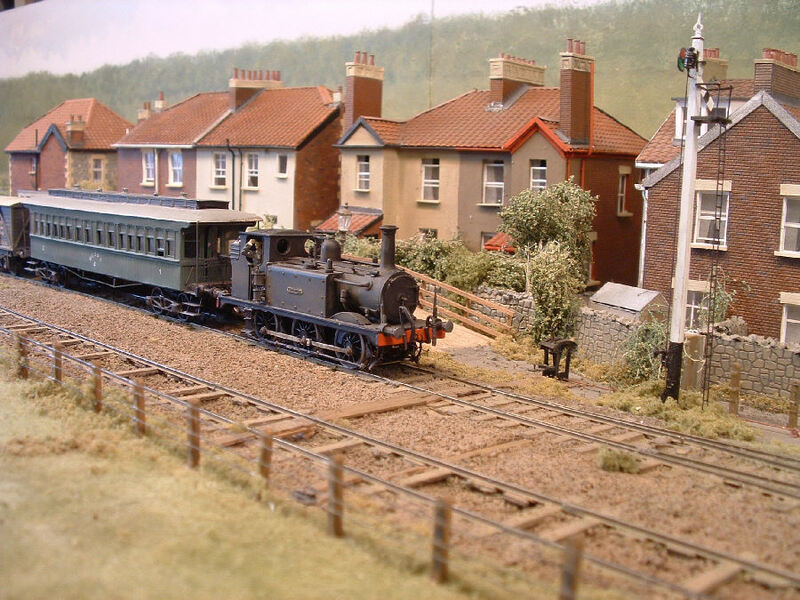 An excellent example is Andrew Ullyott’s superb 4mm/ft scale EM gauge layout of the Weston-super-Mare station. It featured in Feb 2007 Railway Modeller magazine. It has been exhibited at major model railway shows and is well worth seeing. Andrew has now constructed a new model of Clevedon station which was first exhibited in 2014 and will be exhibited at several coming shows. 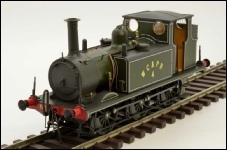 Both of Andrew’s layouts featured in a special WC&P Anniversary Exhibition in Portishead on Sunday 22 Oct 2017. Clevedon featured in May 2017 Railway Modeller with a 6 page article. Stephen Ash has built a unique N gauge model of the River Yeo crossing which was exhibited at the WC&P Anniversary Exhibition in Portishead on Sunday 22 Oct 2017. 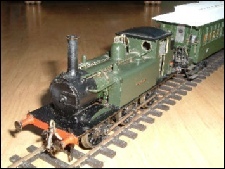 Another example has been sent in by Richard Chaplin, who built this Terrier ‘Portishead’, coaches and wagons in O gauge while a student. A few WC&PR models have been available recently on the market ready made (such as the Antics Dapol Terrier opposite) or in kit form. They are often limited edition models so are not available for long. Drawings for modelling Christopher Redwood’s book ‘The Weston, Clevedon and Portishead Railway’ has scale drawings of Hesperus, Lancaster carriage, and large Drewry railcar. See Books page. Drawings of Hesperus and the Lancaster carriage can be bought from Col. Stephens Society.